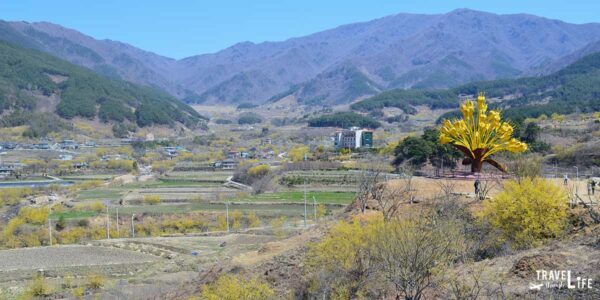 The Gurye Sansuyu Festival centers around the locally-famous Cornelian Cherry dogwoods or Sansuyu to Koreans. For the trip, we tagged along with some friends we’d met who were traveling there as part of an art class. It was an awesome day to see some flowers and we’re thankful that we got to be a part of the occasion. The Gurye Sansuyu Festival also appeared in our feature on Spring Things to Do in South Korea. From the Gurye Bus Terminal, take any local bus heading in the direction of Jirisan Hot Springs Tourism Complex (지리산온천관광단지). Christina previously ran a book club in Jinju and I also joined after graduate school bogged her down with papers and assignments galore. Expat attendees hailed from North America, England, South Africa, while a few Koreans also join on occasion. Thankfully, the locals provide some much-needed perspectives whenever our book partially covered South Korea. Two such attendees (YJ and KM) are a welcome addition to our weekly meetings. Even after the book club runs its course, we keep in touch. YJ leaves to attend school in Hawaii but KM continued corresponding with us. She eventually invites Christina and me to spend a Saturday at a festival in April with her in the nearby town of Gurye (Goo-Reh). After a brief stop to fill up on coffee and get back on the road, Gurye quickly approaches and the anticipatory vibes make me feel very upbeat about this day. KM’s friends are nice and seem like great people to spend time with in class. The tour organizer sets us free to roam around the festival grounds for a few hours and everyone splits off to sketch, paint, or take pictures in our case. It’s an interesting moment. 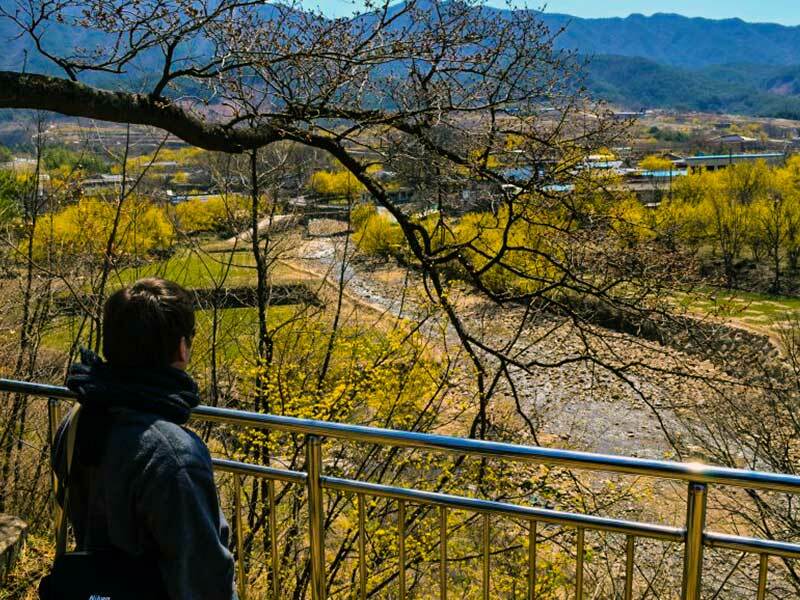 KM’s fellow students pack bags full of art supplies and break off in search of a nice spot to “capture the scene.” Gurye is a nice little town and the festival site offers nice picturesque views of the surrounding mountains with the peaks of Jiri San National Park nearby. The Gurye Sansuyu are the story of the day, though, as they’re in full bloom and coloring most of the landscape with a lovely shade of yellow. This travel guide is part of our series on South Korea Travel and East Asia Travel. It was originally created on May 30, 2014. It has been maintained and updated (as of December 28, 2018) to reflect current viewpoints and travel trends. Enjoyed very much! Sounds like it was a great experience!!! Looks like a wonderful place for hiking! Great story! This sounds like an awesome trip! Thanks KiwiBee! It was a great day. I just wish I could remember it all. That was the challenge.